I love how the particulars of an individual story illuminate universal truths. I love climbing behind someone else’s eyes to see the world in a wholly different way. I love falling in love with someone breathing right on the other side of the page. I love how we all laugh and grieve and screw up. Yes, you. I don’t even know you (probably), but I already know I’ll love helping you tell your story. Because that’s my passion and it’s what I came here to do: to help people get heard. I love working with writers one on one, but I also love creating a supportive community. I want to gather folks around my kitchen table, put our heads together, and create something greater than the sum of our parts. I want to help you share your stories with the world, no matter how big that world is. Please click here while you read my offering, ’cause I’m all about the atmosphere. 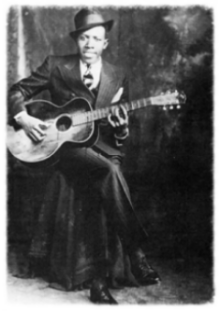 Also, why wouldn’t you want to listen to Robert Johnson? What will this retreat do for you? An unshakeable belief in you that you ARE a writer and your story DESERVES to be told! Master storyteller, coach, and artist Michael Trotta holding a sample of one of his writer's totems; they're different every time, and they're always awesome! How many in our tribe? I want this to be an intimate gathering around my kitchen table—or possibly my dining room table, if I’m feeling classy, but let's be real; everyone loves to lounge around in the living room—so I’m capping registration at 8. I’m in White Plains, New York, a half-hour train ride from New York City. Westchester Airport is about 20 minutes away. LaGuardia and JFK airports are a bit farther, but a doable cab ride. There are numerous lovely hotels ten minutes from my house. Details happily provided upon request. Got any questions? Email me and let’s figure it out. I’ve been a professional book editor since 1981, working as an executive editor at Scribners and Random House. In 2002, I ditched my suits and pantyhose for life working from home as a full-time freelance editor, writer, and ghostwriter, critiquing, creating, and editing proposals and manuscripts. I’ve edited numerous bestselling authors such as Carrie Fisher, President Jimmy Carter, Dr. Dean Ornish, and others; however, my absolute favorite books to edit (and read) are memoirs. I’ve edited bestselling memoirs by Martha Beck (Expecting Adam and Leaving the Saints), Candice Bergen (A Fine Romance) and Donna Williams (Nobody Nowhere), as well as critically acclaimed memoirs by Boyd Varty (Cathedral of the Wild), Josh Hanagarne (World’s Strongest Librarian), Ana Forrest (Fierce Medicine), Susan Edsall (Into Thin Air), and many others. I’m currently assisting an FAA (Famous Anonymous Author) on her memoir as well as developing several book proposals for some incredible authors. I’m also a Martha Beck Certified Master Coach. I most definitely bring my coaching into the work I do with writers, because Lord knows we’re all head cases. And I mean that in a loving and life-affirming way. Let’s get on our butts and do this thing. All these things you performed this weekend at our retreat, and I am transformed. Someone said “grace.” That is a word I have always considered to be the highest compliment anyone can give or receive, and you, dear Betsy, embodied grace. You modeled it for us; you gave it as a gift, freely. Your generosity was evident every moment, from the goody bags to the heaps of food, from arrival to departure. You nourished us and gave us what we needed to nourish ourselves. I am overwhelmed by the thoughtfulness with which you did everything, untangling us when we got tangled, allowing all truths to come forward, revealing yourself to us as we peeled back our own thick layers of defense and felt safe enough to become uncloaked. In just three days. If that isn’t magical, I’ll eat my hat. And yours. Commissioning Michael to fashion our owls, those harbingers of all the goodness and wisdom to come, was a brilliant and savvy move, sister. I’m not usually a collector of amulets, but having this talisman has shifted something for me, and opened me further to the healing properties of touchstones. There’s a comfort in these charms, I now realize. They are hope incarnate. Note to self: add “hope” to the list of items I found in my goody bag. Speaking of the goody bag, I now understand that the space pen I found inside is the symbol of unfettered writing, permission to write anything-anywhere-anytime, even if gravity has deserted me and I become unmoored, which happens more often than I like to admit. Writing by day, storytelling by firelight at night. "I entered your home with the desire to become a better writer, and unexpectedly left it a better person... in addition to my awesome new writing skills and confidence, of course! The positive, supportive environment you created was a tonic to my soul. I've struggled my whole life to change the negative viewpoint I was taught; now I realize that simply choosing with my mind and tongue to focus on what is good causes this change to arise naturally. No huge effort required. The cessation of incessant Sorry's that usually litters my language was transforming, in and of itself. Your writing assignments were challenging, but the dread of writing and insecurity fell away as I flexed that muscle more and more. Listening to the talent of our gathering was motivating, and helped me to access similar parts of me that had fallen dormant. I will remember their skill and honor their trust. While I hope we all stay in touch, they will be dear to me, regardless. Michael blew that tiny smoldering ember into a gorgeous burst of flame; you do the same with a writer's inherent talent. I am more convinced than ever that you are my Jedi master... albeit a tall, beautiful, elegant version of Yoda! You brought out my deepest fear and encouraged me to face it down. I walk upright in a new way. You skillfully sliced off the 250 lb. tumor from my back - the terror of my ex-husband's revenge. You inspired me to find my beloved reader and to trust in my tribe - along with the permission to enjoy all that relationship has to offer! As I look back, I realize what an intricate dance of breaking and mending, encouraging growth and pruning you managed this past weekend. With your wise guidance, I have found the heartbeat of my spirit, and can finally touch the pulse that formerly was a far off drumbeat I yearned for and stumbled after blindly. Thanks to your deft, firm, gentle touch, I know who I'm writing for, and what I want to say and I can find even find the path in the dense forest. I also appreciate the awesome hospitality, scrumptious food and raucous laughter - and a goody bag that rocked!" “To say Betsy is a brilliant editor is simply too simple. She continues to amaze our writing group by her razor-sharp insight and empathetic and loving feedback. Her innate sensitivity towards others is nothing short of Saintliness. “Do you aspire to be a published author? This isn’t just a workshop by a life coach who’s also a writer and editor, it’s a priceless experience full of information you’ll need to know. In addition to her extensive experience and expertise on the subject, Betsy is unbelievably gifted at helping writers bring the best out in their writing. You can wait till you’re buying a copy of my book to sign up with her or you can jump in now before her workshops start selling out moments after they open. Cool cool cool! I want to register! What should I do? Why, click the “Register Now” button below! If you pay before March 1, 2019, the total cost will be $2750. If you pay after March 1, 2019, the total cost will be $2950. Click the button below to make a $500 deposit and secure a spot at my table! One of my workshop participants made this postcard (you'll get one in your goody bag!) after hearing this declaration from me. So, yeah, I'm kind of an unapologetic pottymouth; it always comes from a place of Mama Bear protectiveness about my writers. You've been warned. And loved. Join us for another adventure along the Camino de Santiago. Next stop PORTUGAL!